transportation of all of your non-hazardous waste. Experts in Sewer System Maintenance. We work hard to assess our clients’ specific needs and implement the safest and most effective services and options for removal and processing. We know that emergencies can happen at any time. That's why our industrial and municipal emergency response teams are available 24 hours a day, 365 days a year. Our municipal sewer services include cleaning and video inspection, as well as rehabilitation backed with excellent customer service. 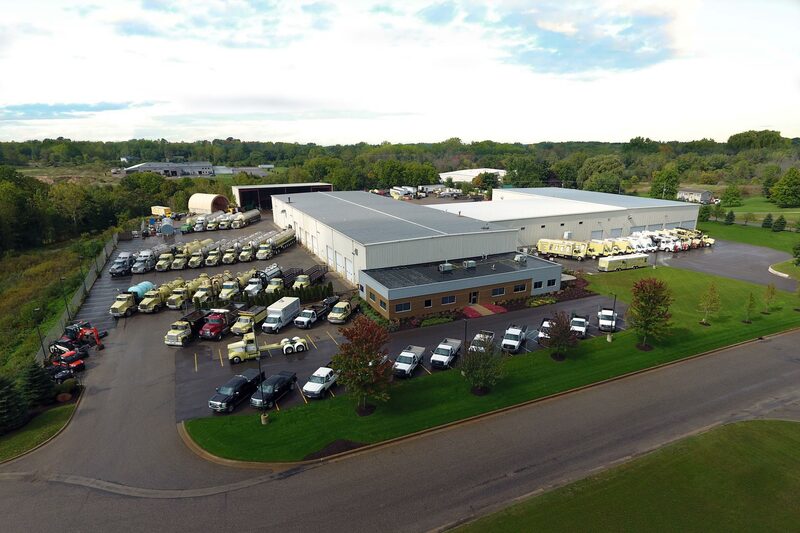 Plummer’s Environmental Services has been serving Grand Rapids and meeting the environmental needs of the greater Midwest for over 25 years. Plummer's Environmental Service's fleet of completely licensed non-hazardous waste hauling vehicles has become a staple and familiar icon within our community. Plummer's Environmental Services, Inc.
Our top-of-the-line trucks, innovative equipment, and educated team members all strive to exhibit Todd Plummer’s strong work ethic, dedication, and positive can-do mentality. Plummer's Environmental Services, Inc.
We operate one of only a few State of Michigan Part 115 licensed Solid Waste Processing facilities. Plummer's Environmental Services, Inc. Along with solid waste, Plummer's maintains a valid wastewater discharge permit maintained by a staffed MDEQ Certified Wastewater System Operator. Plummer's Environmental Services, Inc. Working Today For A Cleaner Tomorrow! We provide Municipal and Industrial Waste Management Services to Grand Rapids and the surrounding area including: Allegan Waste Management Services, Battle Creek Waste Management Services, Big Rapids Waste Management Services, Byron Center Waste Management Services, Caledonia Waste Management Services, Coopersville Waste Management Services, Dorr Waste Management Services, East Lansing Waste Management Services, Forest Hills Waste Management Services, Grand Rapids Waste Management Services, Grandville Waste Management Services, Holland Waste Management Services, Hudsonville Waste Management Services, Kalamazoo Waste Management Services, Kentwood Waste Management Services, Lansing Waste Management Services, Muskegon Waste Management Services, Portage Waste Management Services, Rockford Waste Management Services and Wyoming Waste Management Services.